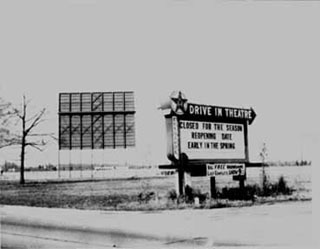 The drive-in theatre was the brainstorm of Richard M. Hollingshead who opened the very first drive-in theatre in Camden NJ on June 6, 1933. 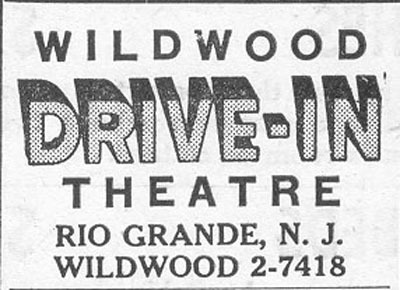 It wouldn't be until 1950 that Cape May County would have its own drive-in. 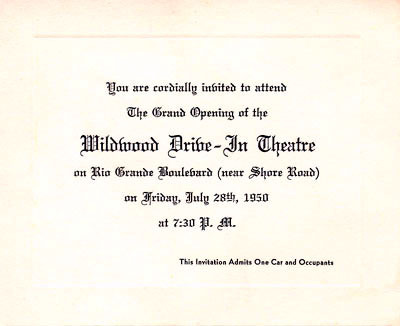 Mel Fox of Fox theatres out of Philadelphia opened the Wildwood Drive-In theatre on a 13.5 acre lot on Wildwood Blvd., in Rio Grande. 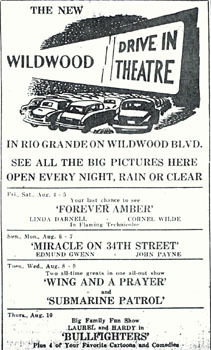 With room for 470 automobiles - a Simplex X-L projector and a sound system with Simplex in-car speakers - the Drive-In was ready for its grand opening Friday, July 28, 1950 with the showing of "I Wonder Who's Kissing Her Now." 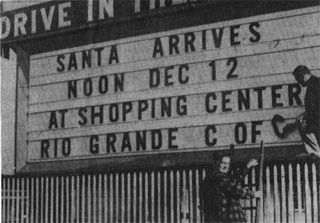 The Box Office opened at 7:30 P.M. with a 60 cent admission per car. Free popcorn was given to everyone on opening night. 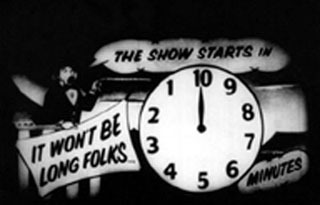 They ran two shows each night during the week and three shows nightly on weekends. The property was sprayed with DDT each week - or each night depending on who you talk to. That didn't seem to stop the mosquitoes though. However, for the savvy moviegoer the (12 gauge) mosquito repellent would do a fair job of keeping the little critters in line! 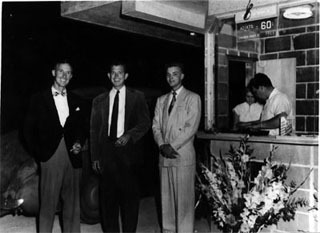 The gentleman to far left is Owen Hand, first manager of the "Wildwood Drive-In Theatre"